The halls are decked, the trees are lit, and we're furiously trying to figure out our New Year's Eve plans — what a whirlwind 2018 has been, and it's rapidly coming to a close. While we're super excited for what 2019 will bring in the design world, we're taking a look back at our favorite trends of the year before we flip the calendars. 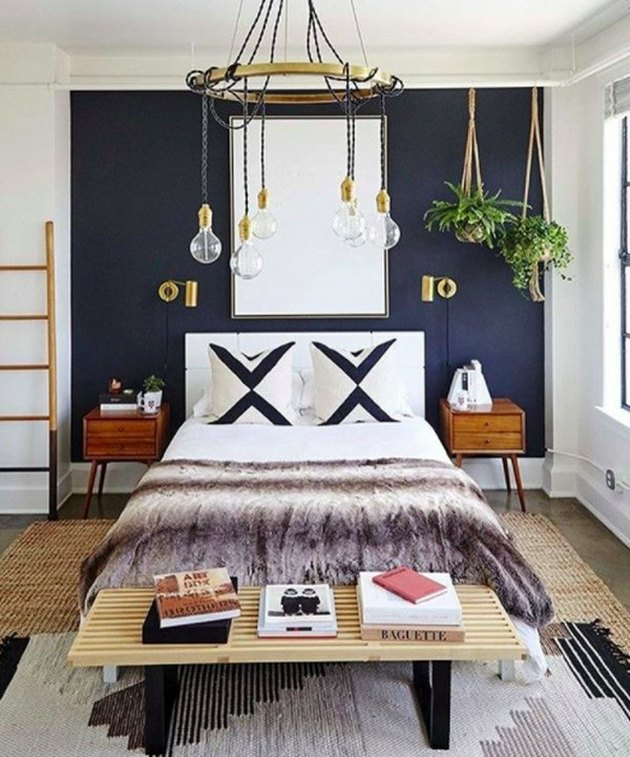 Sleek lines, neutral palettes, and stark geometry? That was so 2017. This year, being loud and proud was all the rage. 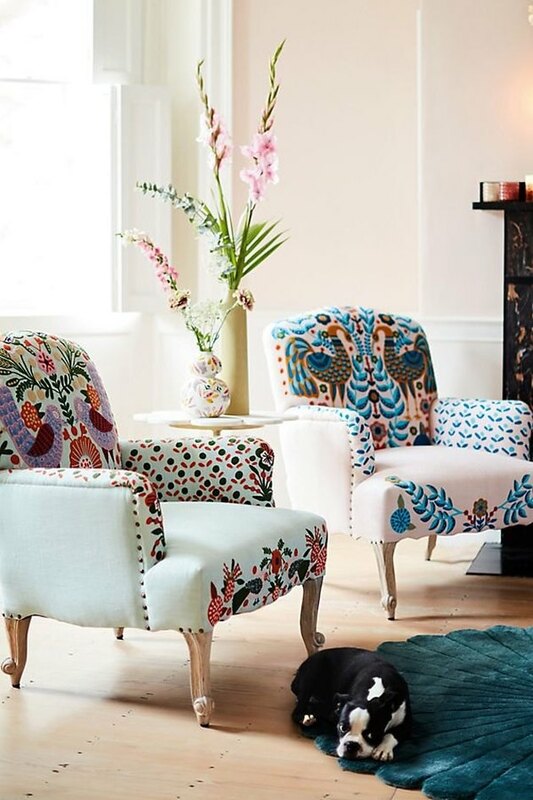 Maximalism found its way into all corners of the home via everything from patterned wallpaper to boldly upholstered chairs. 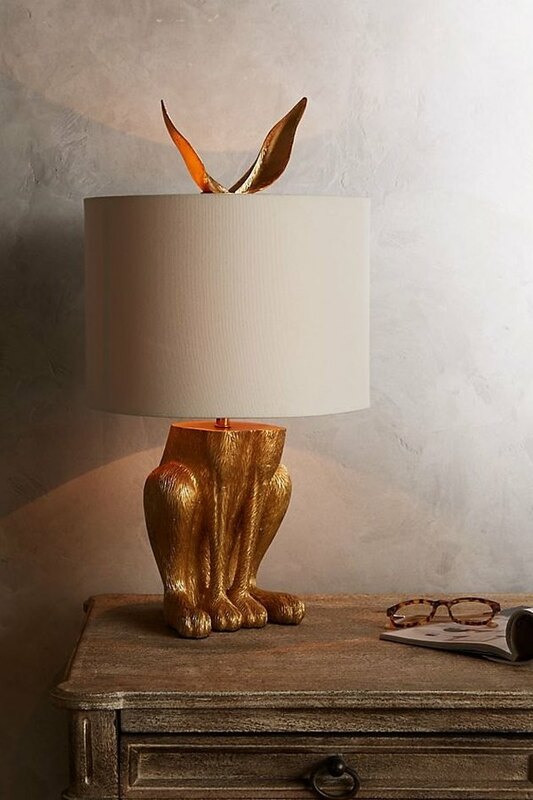 Whimsy was in the air this past year, too, with animal-inspired decor items popping up left and right. While nurseries and children's rooms are common places to find animalia, more mature spaces — say, a sitting room — can be livened up with a cheeky, but still high-design, piece, too. 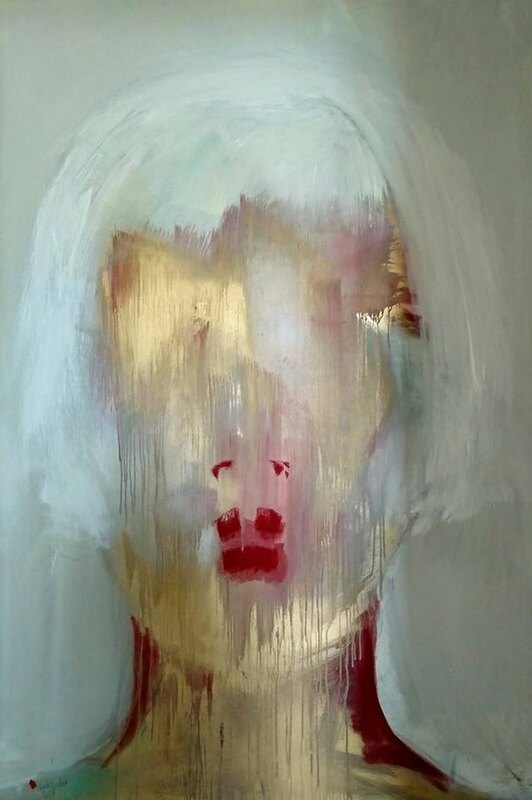 When it came to art in the home in 2018, companies like Chairish and Saatchi Art saw portraiture rise in popularity. We're not talking ye olde Renaissance paintings, though — abstraction is the name of the game. The funky material terrazzo made a comeback this year, but not just in flooring. Find it everywhere from countertops to walls to decor items like vases (like from Jonathan Adler's new line at Amazon). Yes, you read that right. 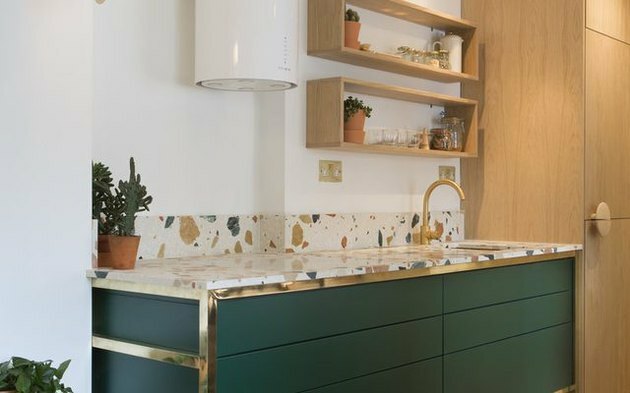 Though wellness is more traditionally associated with a lifestyle than with design, it was actually a design trend in 2018, with designers and brands creating spaces and products to improve wellbeing. 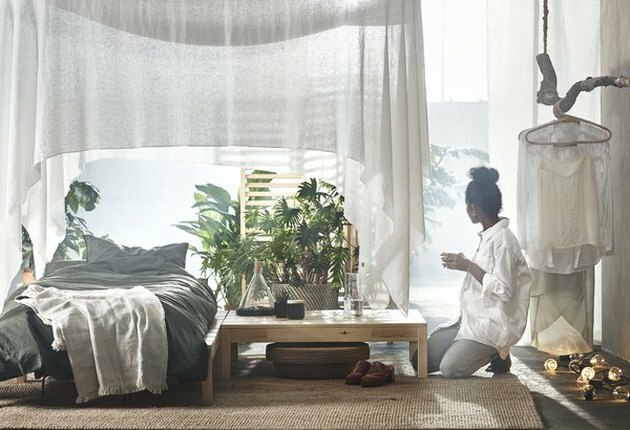 Take, for instance, Ikea's Hjartelig line, which was thought to have been inspired by a 2017 study on mental presence in the home. There's a good chance you know at least one person who filled their home (or office desk) with succulents. Plants, as a whole, were very trendy this year. Not everyone went for the tiny, low-maintenance types, though — massive leafy statement pieces and hanging plants were popular, too. Cane is another retro material that made a reappearance in 2018. We love the touch of tropical elegance the rattan-based weaving brings to the home. 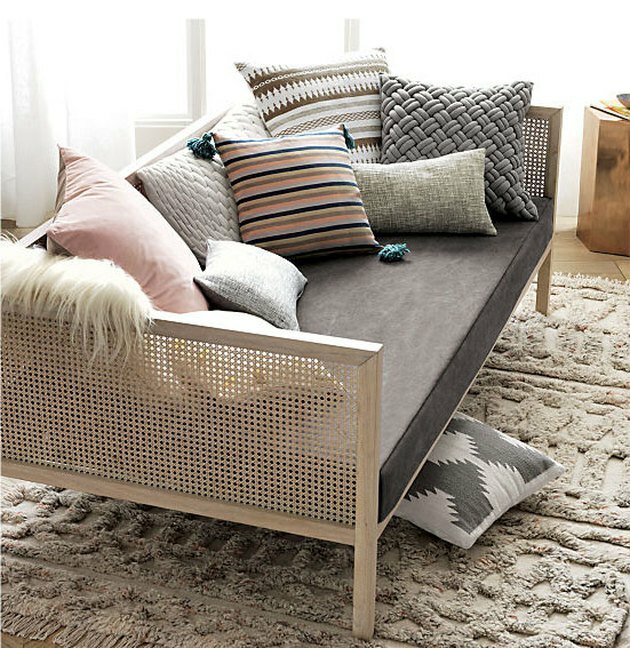 Look for thoughtfully designed pieces that don't overdo it, lest you want to edge a little too far toward a beachy mess. 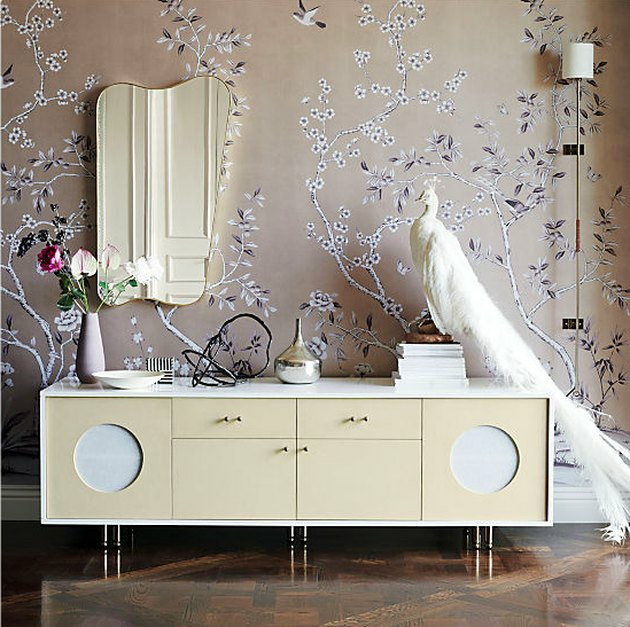 What's old became new again in 2018 (hey, maybe that's a trend in itself) — chinoiserie found its way back into vogue, from silk-inspired wallpapers to floral rugs. Take, for instance, CB2 and Goop's collaboration, which was partially inspired by chinoiserie.